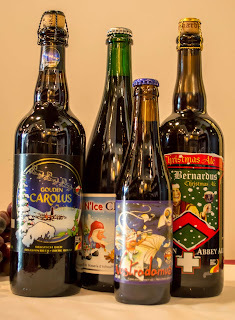 Gary has some great Belgium beers that have been made specifically for the Christmas season. If you prefer beer that has some real taste try a beer from this country – Enoteca has a great selection. I’ve tried a couple of the ‘Christmas Beers’ and they are superb. … and next week (Monday, I think) some great ciders will be available. More info and more pictures then.